Paper dolls, coloring pages, hockey, Oh My! Have a young hockey fan at home? Looking for a creative addition to your cubicle? Print out this cool Detroit Red Wings Steve Yzerman paper hockey doll! Here is a pretty funny Ovechkin version for all the non Ovechkin fans. 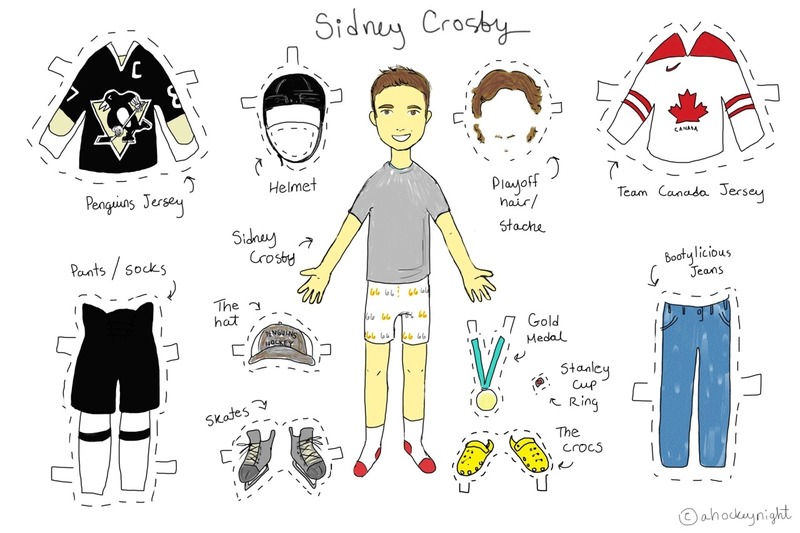 Or, if Sidney Crosby is your #1, they have a paper doll to cure your FANtasies. Another easy and quick idea to add some creative fun to your next road trip or just a Sunday morning lounge; print off a few hockey pages and make your own hockey coloring book. Its as easy as putting “hockey coloring pages” into the search engine.